Strong yet safe Simple Green Floor Cleaner removes oil, lubricants and grime from washable surfaces. Rinses easily. Safe for food-preparation areas. Nontoxic, nonabrasive, nonflammable and biodegradable. Exempt from OSHA and EPA special handling and personal protection requirements for hazardous materials. 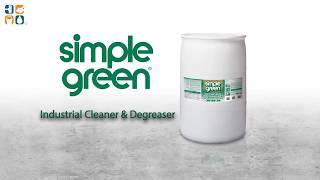 Get the best Simple Green 55 gallon drum pricing here at CleanItSupply.com. Order this 55 gallon degreaser today for wholesale prices and fast shipping right to your door! We use the Simple Green to clean our equipment and trucks.